All of us have friends who don’t ski, even though we wish they did. 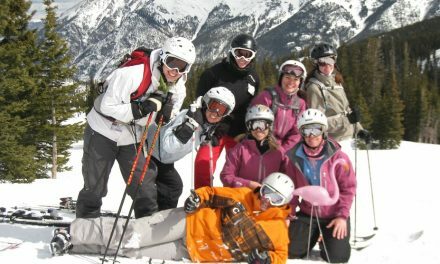 After all, one of the reasons I started TheSkiDiva.com was because none of my female friends skied. I was lucky: it worked out fine. Now, 12 years and nearly 5,600 members later, I have ski friends all over the world. How great is that? But while making new ski friends is certainly desirable, wouldn’t it be amazing if you could get the friends you already have out on the slopes? If your best friend from down the street — the one you share everything with — would love skiing as much as you? Think of the great times you’d have. It’d be an absolute blast, wouldn’t it? Now there’s a way you can make that happen: January is Learn to Ski & Snowboard Month, a month that’s dedicated to introducing never-evers to skiing. And why not? 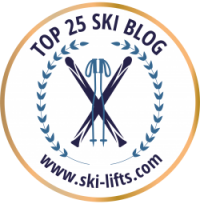 • Only 2.8% of the US population skied or boarded last season. I know, in a population of 327 million, this comes to more than nine million. And while that seems like a lot, consider this: almost 60 million jogged, nearly 50 million hiked, and over 47 million biked. * So in comparison, a low number. • Of those nine million, 46% are women, 54% are men. When measured by skier days, however, the gender split is 41% female/59% male, due to the fact that men ski/snowboard on average more days per season than women do. • Female participation drops off in the teen years, as well as after the mid-50s. Obviously, there’s much to be done to keep women from leaving the sport. But bringing more women in helps, too, and one of the best times to do that is during Learn to Ski & Snowboard Month. 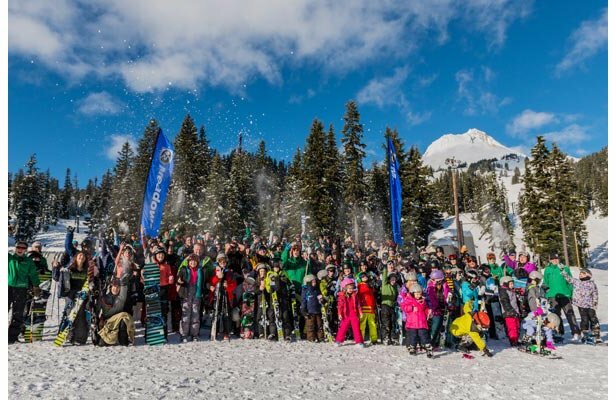 WHAT IS LEARN TO SKI & SNOWBOARD MONTH? 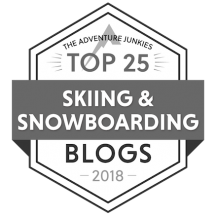 In January, 2016, the organization broke a record for the world’s largest on-snow lesson ever, with 150 resorts from around the world holding a simultaneous beginner ski lesson. More than 6,000 people participated. Pretty cool, right? This year they’ll attempt to set a new record on January 11. There’ll be a number of special offers for lessons taken on that day, only. • Killington is celebrating with $69 Learn To packages. One-day packages include a lesson, rental equipment, and a limited Learning Area lift ticket for first-time skiers and riders ages 7 and up. Offer may not be combined with multi-day Learn To packages and discounts. Advanced reservations are recommended as space is limited to the first five reservations per day. Additional restrictions may apply. Offer not valid January 19-20, 2019. • Sunday River comprehensive learn to ski and snowboard program for ages 13 and up offers many ways to learn. Take a one-day midweek lesson for $59 or a weekend/holiday lesson for $89. Plan to learn for two consecutive days for $139 or upgrade your one-day lesson with two additional anytime lessons for $100. All offers include a beginner lift ticket, group lesson, and equipment rentals that can be used for the entire day. First lesson is 3-hours, and follow-up lessons are 90-minutes long. This offer is valid for the entire season, but we encourage you to learn something new this January! 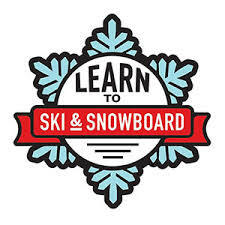 • At Bogus Basin, $69.00 beginner lessons are available daily. The lessons last 1 hour and 45 minutes, and the package includes lesson, rental, and beginner area coach lift ticket. • Squaw Valley Alpine Meadows is offering $49 Beginner lift tickets. • During January, ski areas across the state of Michigan are offering $35 Downhill Skiing or Snowboarding lessons. Includes ski or snowboard rental, lesson, and lift ticket. For a lot more deals, go here. 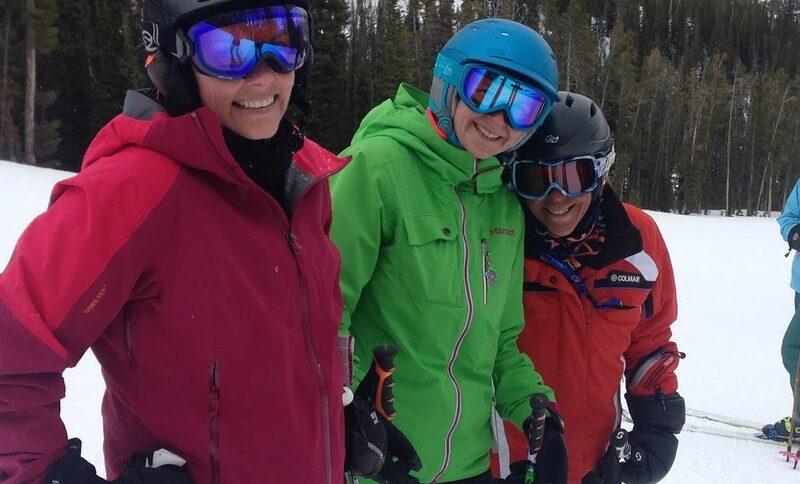 Bring a Friend Challenge: If you’re already a skier or a snowboarder, you can bring a friend or family member to a local area and have them sign up for a lesson package. The current participant and the newcomer are then asked to fill out a registration form on the Learn to Ski & Snowboard website. At different times throughout the month there’ll be drawings for a variety of product prizes. First Day Faces: Newcomers to skiing or snowboarding can also participate in the First Day Faces program. Simply post a photo from their first day lesson on social media and tag it #firstdayfaces. There’ll be prizes for this throughout the month, too. So what does this have to do with getting women to ski? Everything. Because it helps get women out there who might otherwise give it a pass. So do what you can: beg, plead, drag your friends out during Learn to Ski & Snowboard Month. It’s a great opportunity to get them started. Trust me, they’ll thank you for it. 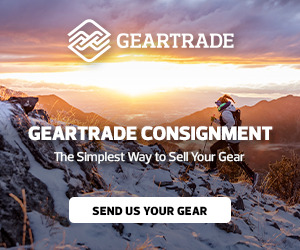 PreviousGear Review: GearDryer ski boot & glove drying system. 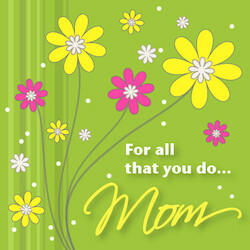 Here’s to you, Ski Moms…. Learn from the Best, and Ski with the Divas!